Among the bills that did pass in the 2012 General Assembly was a bond authorization for $10 million for the preservation of farmland. This is exactly the right amount to keep the State’s farmland preservation program moving forward at its current pace for another year. 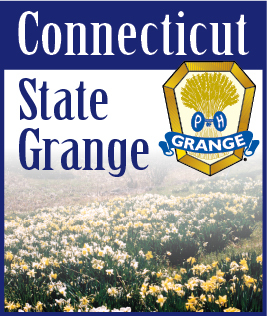 A bill also passed which requires every town to update their plan of land conservation and preservation at least once every five years with emphasis on preserving 21% of Connecticut’s land area for open space. A third bill that passed will phase in on line filing of all State agency rules and regulations so everyone can access them through their computer. Under the present law the regulations must be published in the Connecticut Law Journal which is usually read only by attorneys and judges. The so-called “Wood Furnace” bill which, in its original form would have completely banned the use of outdoor wood burning furnaces from May 1 through September 30 each year did not pass The bill was amended to permit the use of wood burning furnaces used to provide hot water and would also have limited those who could file complaints to people who owned land abutting the property where the furnace was located. This bill still needs some revisions and will probably be back in another form in the 2013 General Assembly. Another bill which did not pass in the 2012 General Assembly but may be back next year concerned background checks for people working at summer youth camps such as Camp Berger. In the original version every adult who set foot in a youth camp during the campong season would have been required to pass a background check, including delivery people, repairmen and those picking up the trash and garbage. The bill was revised so that only the camp director or assistant director would be required to pass a background check, but excluded all the counselors and other camp staff. The State Grange Board of Directors already requires all staff members at Camp Berger to pass a background check as proposed in this bill. So what did pass in the 2012 General Assembly? Much time was spent debating a bill to allow the growing, production and distribution of marijuana for medical purposes. This bill did pass both the House and Senate, but the Federal Drug Enforcement Agency has already notified the State that everything in this bill is prohibited under Federal law. According to DEA, anyone who obtains a permit for any of the activities permitted under the new State law will be subject to arrest and prosecution by the United States Government for violating federal laws concerning marijuana. It was a very interesting session.